Two-time Bathurst winner Will Davison is poised to continue as a full-time Supercars driver next season, linking with 23Red Racing. The new team was launched by co-owners Phil Munday and Lucas Dumbrell in Newcastle today, confirming they’ll field a single Prodrive-built Ford. Dumbrell said that the team has signed “someone pretty special” to drive the car, but an official announcement cannot be made until their current contract ends. 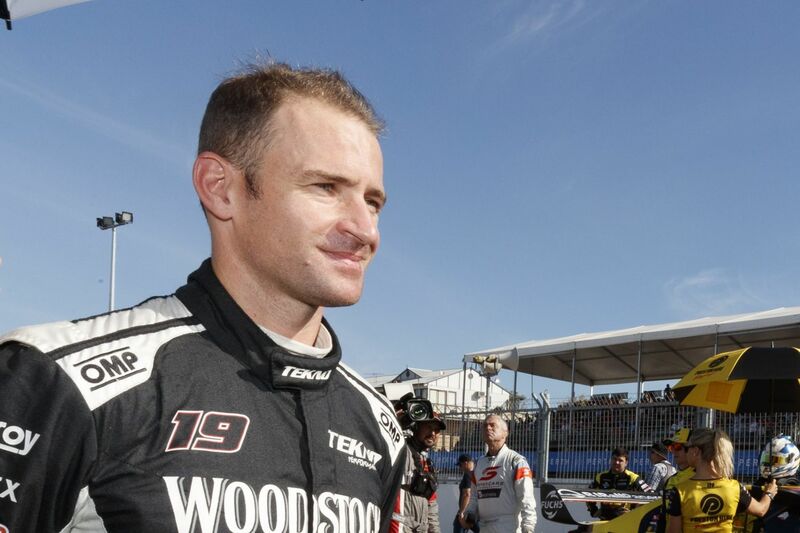 It is believed that Davison, whose two-year deal with Tekno Autosports comes to an end at the conclusion of the year, is the driver in question. Davison had faced an uncertain future for months, posting on social media as recently as Monday night that he had not locked in a drive for 2018. Munday made it clear at the announcement that 23Red is being set up with ambitious goals. “I’ve got the best driver I could find,” Munday told Supercars.com, adding that the deal was to be announced Monday, if not for contractual obligations. “I think for Lucas and I, we’ve had long discussions about rolling this out next year as a new team, and everything that we do about the new team’s got to look at winning. Supercars.com understands that Davison’s place at Tekno is set to be taken by Dunlop Super2 Series driver Jack Le Brocq. Le Brocq had been the favourite to take the retiring Todd Kelly’s seat at Nissan Motorsport but, as reported on Tuesday, no deal was completed. Tekno team owner Jonathon Webb told Supercars.com today that he’s still working through the team’s 2018 program and not in a position to comment on its plans. Webb has already committed to a new Triple Eight-built ZB Holden Commodore for next season, while Adrian Burgess has re-joined the squad this weekend. 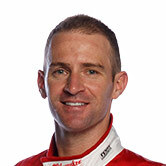 Although it remains unclear who will replace Kelly at Nissan, the 2005 Bathurst winner told Supercars.com in Newcastle that a new driver has been secured. He described the quality of his successor as a key part of the decision to step back, with a sponsorship package the final piece of the puzzle yet to be put in place. “There’s two parts to the decision, one knowing it’s time to get out, but secondly and just as importantly me being content there’s somebody that can jump in the car and do just as good or better job and be better for the team,” said Kelly. “Just to jump out and stick anybody in it, to grab someone with a heap of sponsorship, I would have dug deep and battled through again if I had to if there wasn’t a better option than me. Nissan already has Michael Caruso and Simona De Silvestro with ongoing contracts, while Rick Kelly will also continue behind the wheel of an Altima. 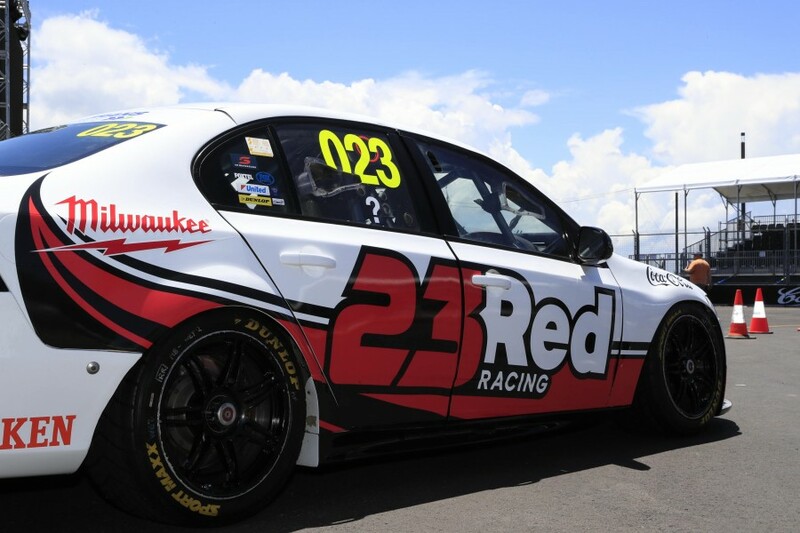 Today’s 23Red Racing announcement, meanwhile, confirmed that the second Lucas Dumbrell Motorsport Racing Entitlements Contract has been sold to Prodrive, pending Board approval. 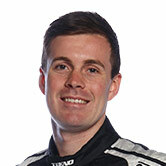 It is expected that the license will be run for Kiwi young gun Richie Stanaway as Prodrive’s fourth entry. 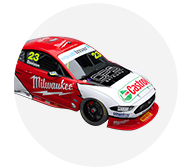 The future of Jason Bright’s REC is yet to be confirmed, although Super2 squad Matt Stone Racing remains the favourite to secure it for a Todd Hazelwood-led assault on the main game. Bright announced last weekend that Newcastle will be his final in the category as a full-time driver. Dale Wood joins Kelly and Bright in ending his full-time career this weekend, with Anton De Pasquale to replace him at Erebus Motorsport. James Moffat is also expected to step back to co-driving duties next year with another young gun, James Golding, poised to take his place at Garry Rogers Motorsport.